On the first of the year, funding for federal black lung benefits was cut in half. 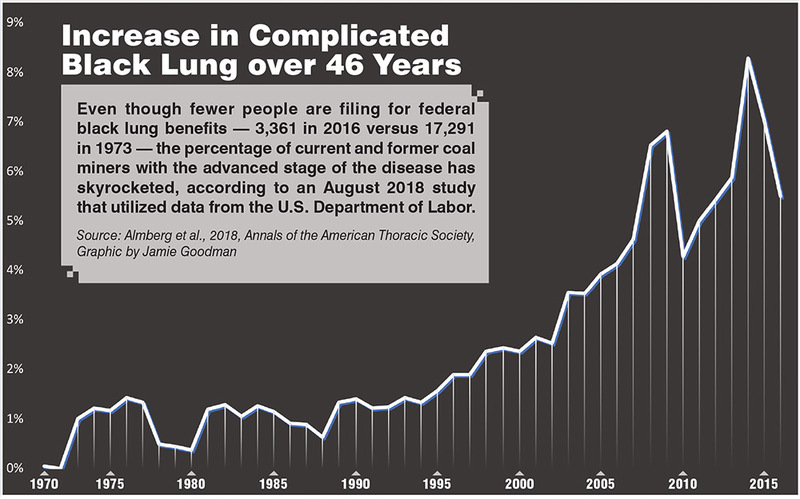 The Black Lung Disability Trust Fund covers healthcare expenses and disability benefits for coal miners with black lung disease and their dependents when the miner’s employer has gone bankrupt or is otherwise not able to provide these benefits. Black lung is a progressive and fatal disease caused by the accumulation of coal and silica dust in the lungs, and resultant scarring. The trust fund is supported by an excise tax that mining companies pay on each ton of coal produced. Despite substantial grassroots pressure from miners and their supporters, the black lung excise tax has been slashed in half. This amounts to a tax break for coal companies at the expense of these crucial resources for people who contracted a fatal disease while working in the mines. No one will lose benefits immediately. But without this dedicated funding source, and in the midst of a trend of coal company bankruptcies, the Black Lung Disability Trust Fund is expected to run ever-deeper into debt, potentially putting it on the chopping block in future budget negotiations. Meanwhile, the financial burden will now shift to the general treasury — the taxes paid by you and I and the coal miners themselves. In recent years, Black Lung Association chapters emerged throughout Appalachia. These small community-based groups are comprised of miners helping one another navigate the process of filing for black lung benefits, and they have been leaders in the fight to protect the black lung fund. 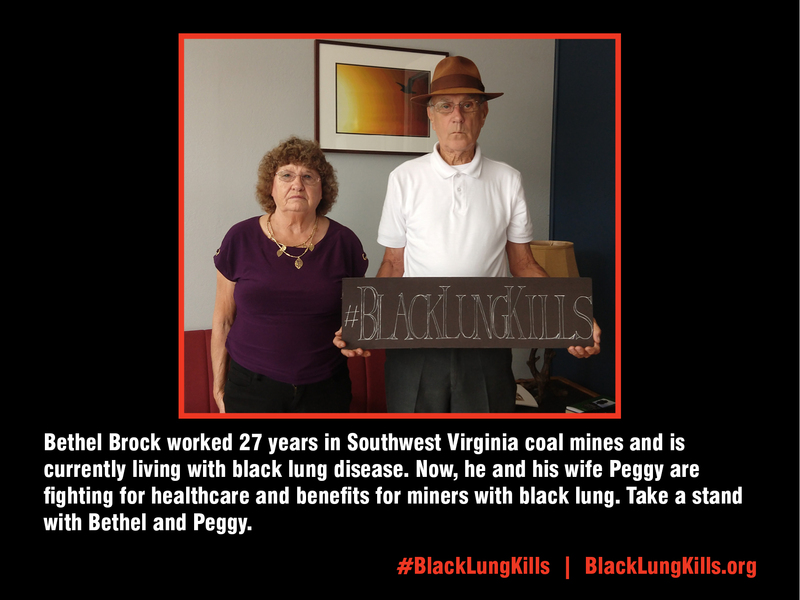 Last year, Black Lung Association members mobilized an extensive letter-writing and postcard campaign, and lobbied congressional representatives in Washington, D.C., and in their home districts on multiple occasions, educating them about the scourge of black lung and imploring them to maintain funding for black lung benefits. These efforts gained a lot of ground, culminating with a short-term extension of the black lung excise tax included in the Senate’s early budget bill. Unfortunately, this prospect was lost when the government shut down. Without congressional action to save it, the excise tax automatically reverted to the current lower rate at the end of the year. Now, Senate Democrats have introduced legislation called the American Miners Act that would bring the black lung excise tax back to its previous rate while also shoring up the United Mine Workers of America pension fund. Moving into 2019, Black Lung Association chapters in Virginia, Kentucky, and West Virginia and not letting up. In addition to voicing support for the American Miners Act, miners and their allies are also supporting state-level bills in Kentucky and West Virginia that seek to make it easier for miners with black lung to access benefits. On Jan. 22, PBS Frontline and National Public Radio released a joint investigation into the devastating extent of the black lung epidemic and how the industry and government failed to protect miners. View the investigation’s film, Coal’s Deadly Dust, here.